يقع في Margaret River, Heritage Trail Lodge إنه المكان الأنسب لاكتشاف مارجريت ريفر واين ريجيون و ما يحيطها. يقع مركز المدينة المثير على بعد 0.4 km فقط. يضفي محيط الفندق اللطيف وقربه من الكنيسة المعمدانية في مارجرت ريفر, ريفر ووك, مستشفى مارجريت ريفر سحراً خاصاً على هذا الفندق. استمتع بالخدمات الراقية والضيافة التي لا مثيل لها بهذا الفندق في مارجريت ريفر واين ريجيون. يمكن لضيوف الفندق الاستمتاع بالميزات التالية على أرض الفندق: واي فاي مجاني في جميع الغرف, مرافق مخصصة لذوي الاحتياجات الخاصة, تخزين الأمتعة, واي فاي في المناطق العامة, صف السيارات . في الفندق غرف نوم يتجاوز عددها 10، كلها مجهزة بعناية وجمال وبعضها مزود بـ تلفزيون بشاشة مسطحة, اتصال لاسلكي بشبكة الإنترنت (مجاني), حوض الاسترخاء, غرف لغير المدخنين, مكيف هواء. يقدم الفندق العديد من الفرص للاستجمام كمثل مسارات المشي, تدليك, حديقة. اكتشف مزيجاً ساحراً من الخدمة الاحترافية والخيارات الواسعة من وسائل الراحة والمتعة في Heritage Trail Lodge. إذا أردت الحصول على سرير إضافي، يُرجى الاتصال بالفندق مباشرةً للتأكد من توافر أسّرة إضافية. سعر السرير الإضافي للطفل: 50 دولارًا أستراليًا. سعر السرير الإضافي للشخص البالغ: 75 دولارًا أستراليًا. Definitely a place not to be missed. Gorgeous little cabins with the most comfortable beds. The deck was lovely place to enjoy wine after a day of touring. Breakfast was lovely and had added touches of local offerings including jams,cheeses and breads. In addition- granola, fresh fruit, yogurt and juices. Would definitely return again!! This is excellent stay around Margs river. Lodge rooms are huge and king bed was cozy. Sauna after day out was pretty relaxing. It's so close to the town and parks. Healthy local produce breakfast in morning was so satisfying and good for start of the day. Avoid road facing rooms if you could as road noise is spoiler. I give it 4/5. We thoroughly enjoyed our stay in Margaret River. The lodges were at the edge of the town within easy walking to the shops and restaurants yet it was very quiet. You feel at one with nature, looking out to the surrounding woods with some beautiful coloured local birds right beside you. My husband is a coeliac and they were very good at catering for him at breakfast. The staff were very attentive and friendly. The luxury rooms at back are quietest , room clean and comfortable. Breakfast fresh and healthy. 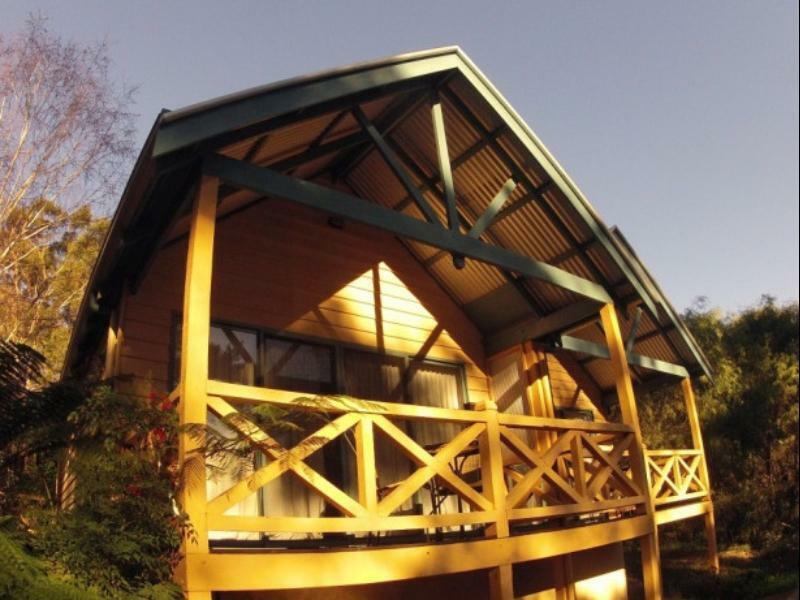 Great location to leave car and walk trails or into Margaret river or a good base for getting to many winery's. There's a brewery next door and a gin distillery across the road so no taxis needed. Where do I start?? The staff are friendly. Free continental breakfast. The location is very convenient. The room was very clean, plenty of space. Their policy also allows young children to stay without extra charge if using existing bedding. They are also provide an option for additional bedding. The two person spa bath tub is very nice and large, great for kids to soak in too! The room we stayed in had a balcony out the back (as most rooms do), air is fantastic, beautiful view of natural forest landscape. Highly recommended!!! I would look forward to a stay here again next time I'm in Margaret River. The location was great next to rotary park for early wake ups with our toddler. We got into a pattern of wandering down to the bakery which opens at 630am to grab a coffee then walking back for some time at the park before the lodge breakfast at 830am. Breakfast was nutritious with fresh fruit and granola and good coffee. Rooms were super spacious though there are no suites available. Perfect for a quick wander and a great jump off point for exploration. This place is just great for what I am looking for ... quite and peaceful back to nature. I love the trails behind and around the property. It is walking distance to the lovely historical Margaret River town with close proximity to a number of wineries and the great lighthouse at Cape Leeuwin. Terry is very knowledgeable and has been great in recommending places to visit. Breakfast at the Lodge which is included in the room rate is nice and healthy. Perfect for a romantic getaway (our first without the kids! 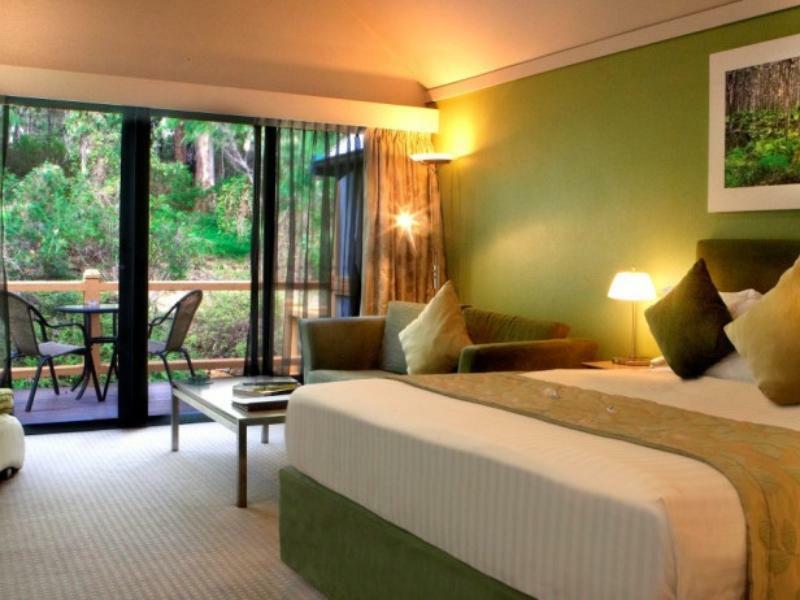 ), beautiful location with lush, well-maintained surroundings and the tranquil forest beginning just behind the property. A hiking trail takes you through the forest along a creek and to some really lovely spots. The included breakfast was very nice and the Margaret River town centre was within easy walking distance. Staff was friendly but unobtrusive. Highly recommend staying there. We spent a romantic Christmas day here and found it to be the ideal spot for exploring the Margaret River region. The gardens are beautiful and the brekkie is delish -- I recommend the fruit toast. It would be great if the kitchen area in the room had a microwave and a small sink. Otherwise an awesome spot. spa bath, local produce breakky and location. lovely time staying here and i would come back! room in front of the highway are a bit dated but large roomy and perfectly functional. bar fridge is a great handy size for wine and cheeses and the double person spa was huge! love the continental breakky with local produce showcasing what is available in the region! Nice and comfy place facing the forest. The Spa was a great place to relax too. The Wifi was a bit weak in the room. Many a times, signal just faded away and lost connection. Very helpful staffs though and the location was great too. Just a short drive away to town centre and the few restaurants and cafes too!! The rooms are perfect sized and the balcony view is just so lovely to look out. The staff are super friendly and courteous and the standard of service is of the highest rank always !! It's a beautiful calming place, perfect if your wanting a country side getaway! Shops and food are an easy 10 minute walk away! We have stayed here before and always look to see if we can get in heritage trail first before looking anywhere else! The receptionist/owner showed very helpful upon check-in, highlighting the major attractions to be undertaken in the Margaret River area. 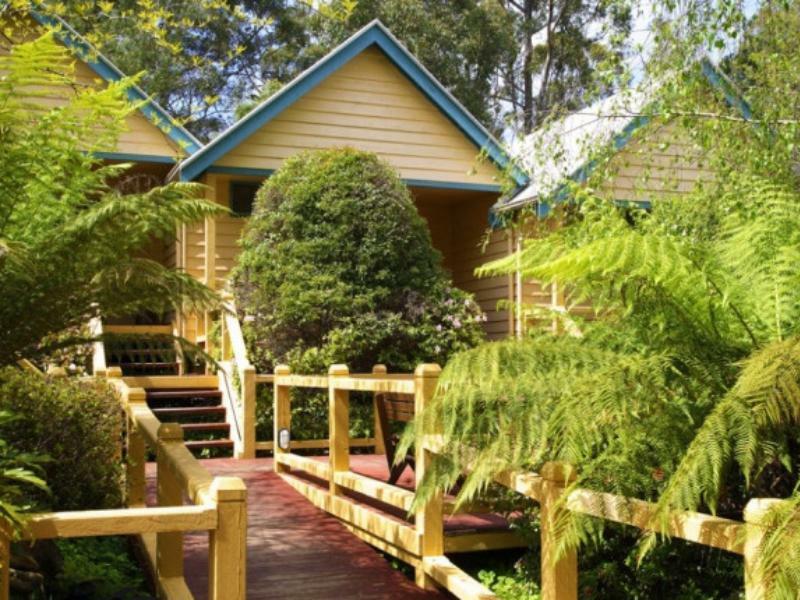 The hotel is conveniently located, just outside of Margaret River's town heart, within a short drive of restaurants. The rooms are very large, clean and the spa bathtub is enjoyable. The forest view rooms are quiet, being further away from the road. Very friendly, pleasant & polite staff with lovely leafy green garden surroundings. Our cabin was 1 of 2 front cabins close to busy road & very noisy most of the time, despite being on the edge of a lovely forested area. Our "banana bed" was quite uncomfortable but we were moved to a quieter, rear cabin with a more comfy bed as soon as one became available. Very good buffet continental breakfast was included. Large spa bath in both rooms. Lots of useful local information available in our room folder.